A Hadoop cluster must be running. NiFi should be running with latest changes. Keytabs should be created and accessible. Create a Kerberos keytab file for Nifi user. Test that the keytab works. You can initialize your keytab file using below command. 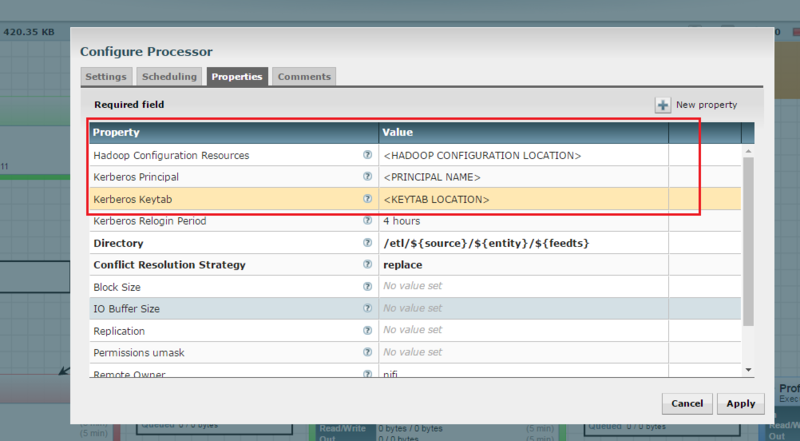 Make sure nifi.properties file is available in conf directory of NiFi installed location. Open nifi.properties file and set location of krb5.conf file to property nifi.kerberos.krb5.file. HDFS Processor Configuration : Log in to NiFi UI and select HDFS processor and set properties which is highlighted in red box. 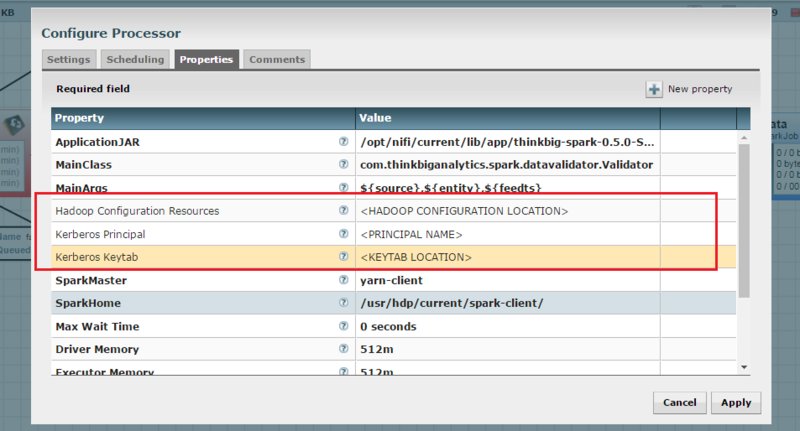 SPARK Processor Configuration : Log in to NiFi UI and select HDFS processor and set properties which is highlighted in red box. 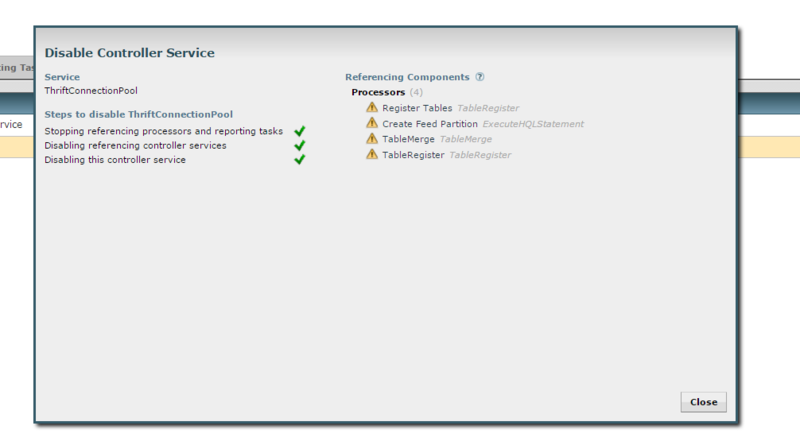 Hive Processor Configuration : Log in to NiFi UI and go to toolbar. Go to Controller Service Tab and disable Thrift Controller Services if already running which highlighted in red box. Make sure everything has stopped properly like below. Update HiveServer2 hostname and Hive principal name. Update Kerberos user information and Hadoop Configuration. Apply Changes and start controller services. You have successfully configured NiFi DataLake Platform with Kerberos.